Vauxhall Astra Interior, Sat Nav, Dashboard | What Car? 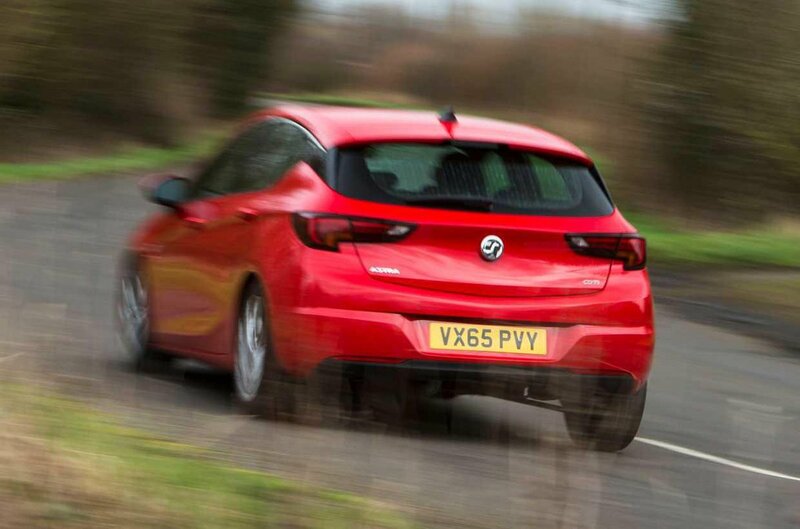 Regardless of your stature, it shouldn’t prove tricky to get comfortable in the Astra. Both the seat and steering wheel have plenty of adjustment, while the pedals and wheel are located in line with each other. All major controls are within reach and easy to locate, too. However, only higher-spec trims get adjustable lumbar support as standard. It's optional lower down the range and is an option well worth selecting; without it, there isn’t a lot of lower back support. Keen drivers might also find the standard seats a little flat and unsupportive during hard cornering, although the sports seats fitted to the SRi models are better. We’ve no complaints with the visibility on offer when looking out of the front of the Astra. Relatively narrow windscreen pillars and decently sized front windows mean you can see out of junctions easily and safely. Unfortunately, rearward visibility isn’t quite so impressive. Thick rear pillars obscure your over-shoulder view and there’s a noticeable blindspot. This can make parking and other low-speed manoeuvres far harder than you might wish. Rear parking sensors are an option, but only as part of a pricey pack that also includes front sensors. For not much more, you can buy another pack that includes the sensors, blindspot monitoring and also an automatic parking system. For some buyers, this could be a worthwhile option. Even the entry-level Design trim has a 7.0in colour touchscreen with DAB, Bluetooth, USB and aux-in ports, smartphone projection and Apple CarPlay and Android Auto smartphone mirroring. 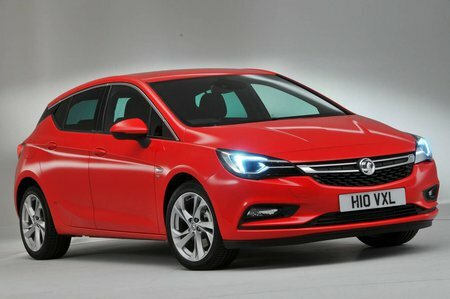 Sat-nav may not be included but anyone with a smartphone can get Google-based navigation systems free and project them onto the Astra’s screen. Higher-spec models get an 8.0in system with sat-nav optional on all but Tech Line and Ultimate models. Although it can be difficult to select what you want on the touchscreen (particularly when travelling down a bumpy road), there are handy shortcut buttons to get to all the major functions. Vauxhall also offers a system called OnStar. This package brings online connectivity, a wi-fi hotspot and a connection to a dedicated call centre, whose operatives can download your requested route directly to your sat-nav. It’s a clever system - but it is set to be switched off from 2020 following the company's sale to PSA Peugeot Citroen. 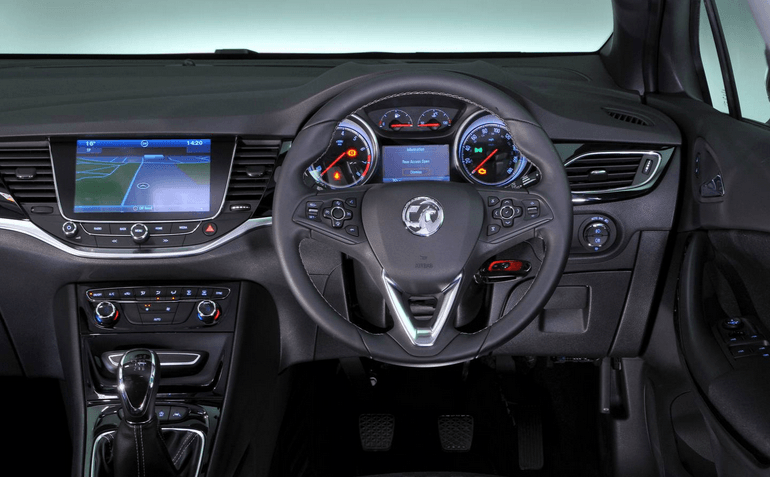 Looking around the inside of the Astra, there are plenty of things to be happy about. Soft-touch plastic is spread liberally around the interior, along with gloss-black and chrome trim pieces. Higher-spec models get even more metal-effect parts that help lift the interior beyond the level of many cars in the class. While good, it’s still a little way behind the Volkswagen Golf and Skoda Octavia. There are still cheap-feeling plastics to be found, while some of the controls don’t operate with the same precision as the Volkswagen's and Skoda’s– such as indicator and wiper stalks that produce a rather hollow click when used.